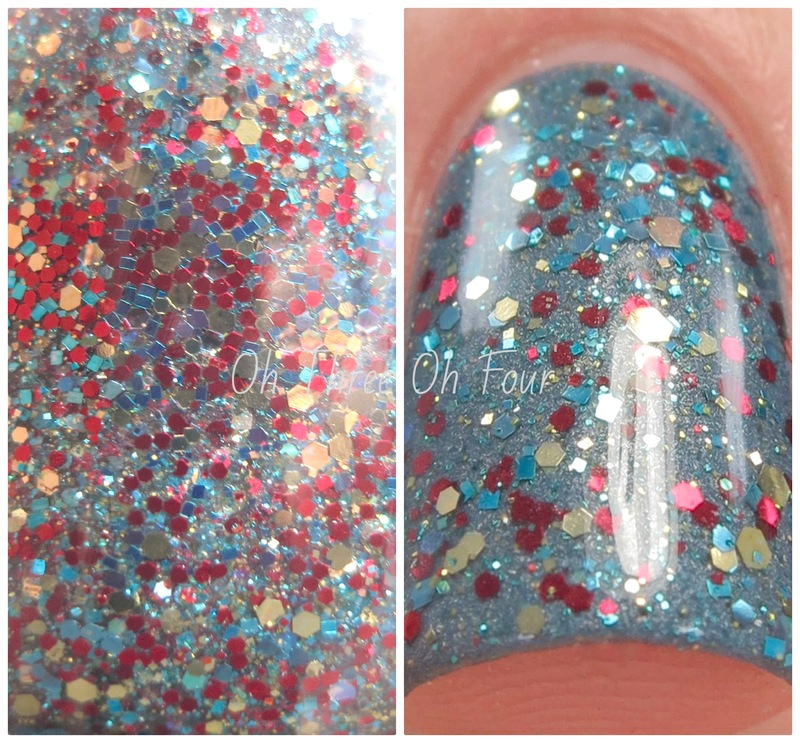 As always, these had a great glitter pay off in one coat or they are easy to build up on their own in 2 to 3 coats. All in all, Shimmer Polish has never disappointed in formula! Alessandra is described as a coral red glitter polish. All nails are 1 coat of Alessandra over 2 coats of Initial Lacquer Nocturne and matted with Hard Candy Matte-ly in Love. Elsa has a clear base with turquoise, gold and red glitters. These photos are 1 coat over 2 coats of Too Fancy Lacquer Bejeweled. Jacki is various violet, navy and maroon glitters in a a purple tinted base. Here is 3 coats over bare nail with top coat. 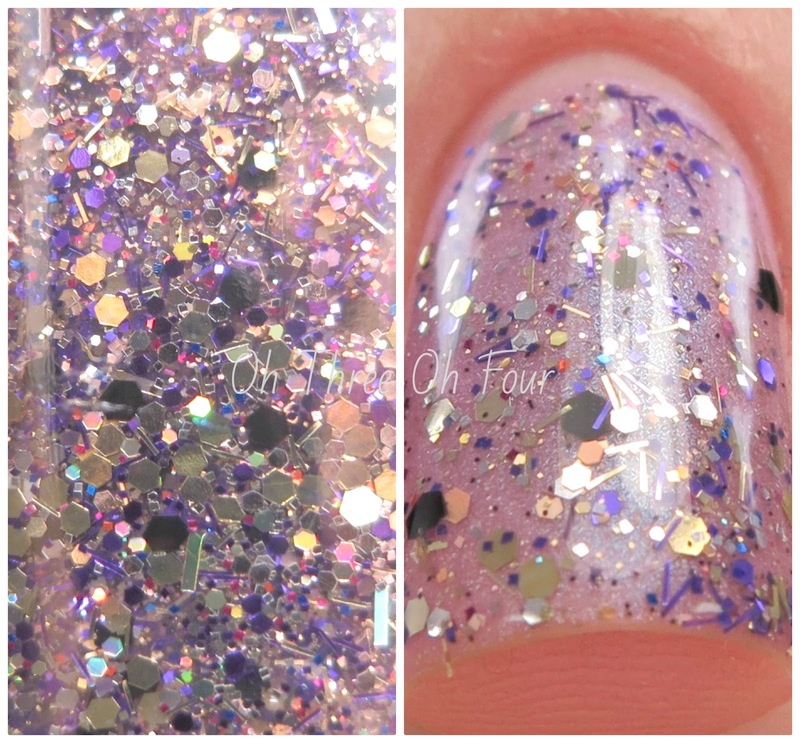 Sonia contains a mixture of various lavender, pink and gold glitters. Shown is a gradient with Sonia over 2 coats of Nail Tisane Lion's Mane. Tammy has a variety of black, purple, gold and silver glitters. All nails are 1 coat of Tammy over 4 coats of Nail Tisane Lavender Frosting. Purchase Shimmer Polish through Etsy. To see more swatches and information about each specific shade offered visit Shimmer Polish's blog. Also, make sure to follow Shimmer Polish on Facebook, Twitter and on Pinterest!